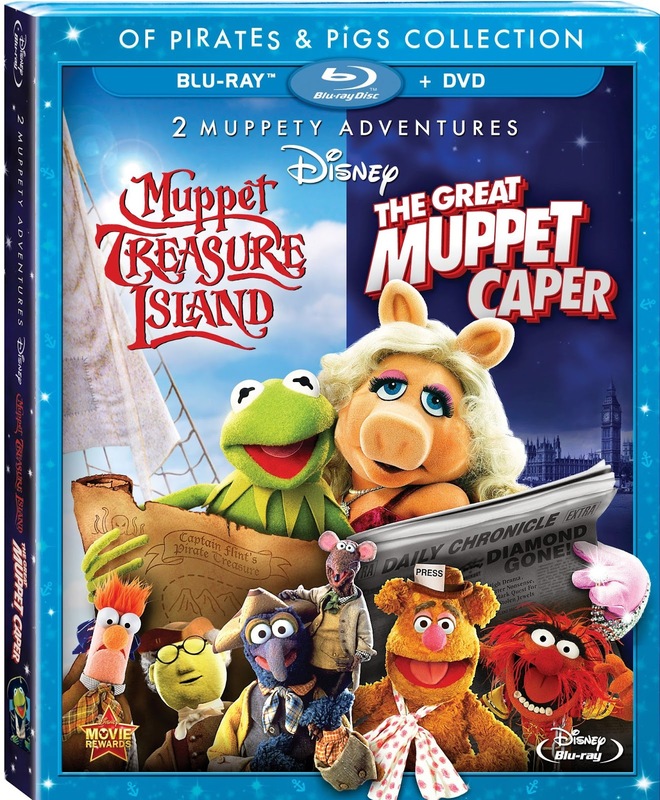 Recently released on Blu-ray the “Of Pirates & Pigs Collection” contains the movies Muppet Treasure Island and The Great Muppet Caper. Right now The Muppets are very popular since the success of their 2011 self named movie, and their upcoming release of Muppets Most Wanted has a trailer that is getting a lot of television ad time. And it stands to reason that people are going to be searching for other Muppets movies this holiday season. There’s not a lot of additional bonus content in this set, but there is Frog-E-Oke Sing-Along - now regular feature of Muppet movie Blu-ray releases. In this set you’ll get 3 songs: “Cabin Fever” from Muppet Treasure Island, and “Steppin’ Out With a Star” and “Happiness Hotel” from The Great Muppet Caper. The latter being one of my all time favorite Muppet movie songs. There’s also a music video of Kermit and all the pirates from the Hispaniola singing “Let the Good Shine Out” that was part of the Muppets Sing Alongs video for Muppet Treasure Island. “The Tale of the Story Beyond the Tail” is a behinds the scenes for Muppet Treasure Island short hosted by Gonzo & Rizzo. You watch Brian Henson, Kirk Thatcher, Jerry Juhl talk about the film. There’s an interview with actor Brian Connolly where he talks about the scenes he did with Gonzo and how it was hard to act and not laugh while he was holding Gonzo’s nose. And we are reminded by Dave Goelz and Steve Whitmire that when you’re onstage with Muppets it’s all about upstaging each other. At the end of the piece there is a sort of tribute to Jim Hensen. 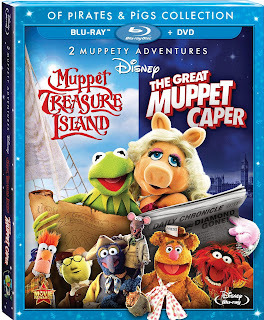 Whether you’re looking to update an old release of either or both of these movies, filling a gap in your collection, or looking for a good holiday gift for a Muppet fan that you know then this is a great release. Both of these movies are fun, enjoyable, and great for the whole family.